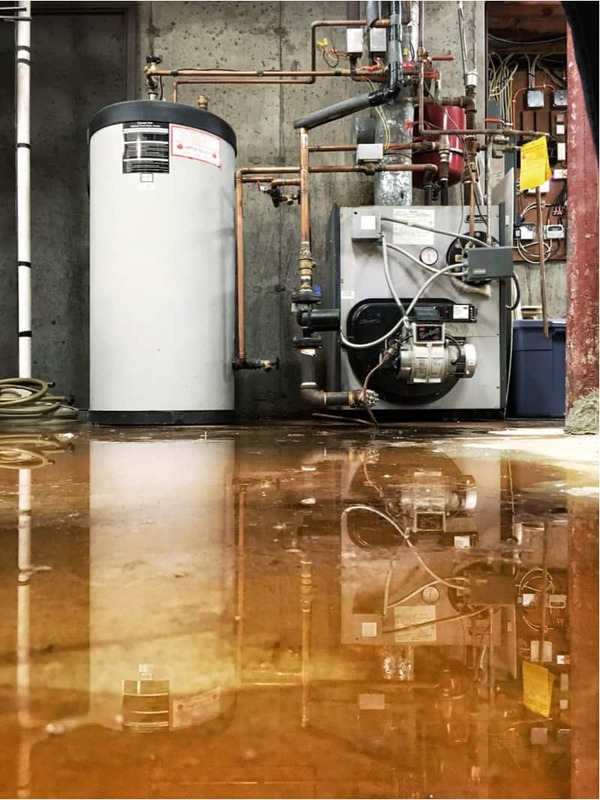 There are a few things in life that require a professional, and dealing with crawl space moisture and flooding is definitely at the top of the list. 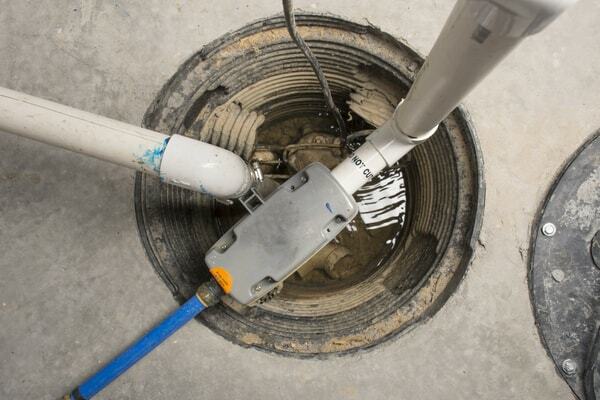 If the thought of a crawl space seems unappealing now, just imagine it flooded with stagnant water or sewage. If you’re suffering from a wet or flooded crawl space, there are a few reasons you should hire a professional before taking on the project yourself. 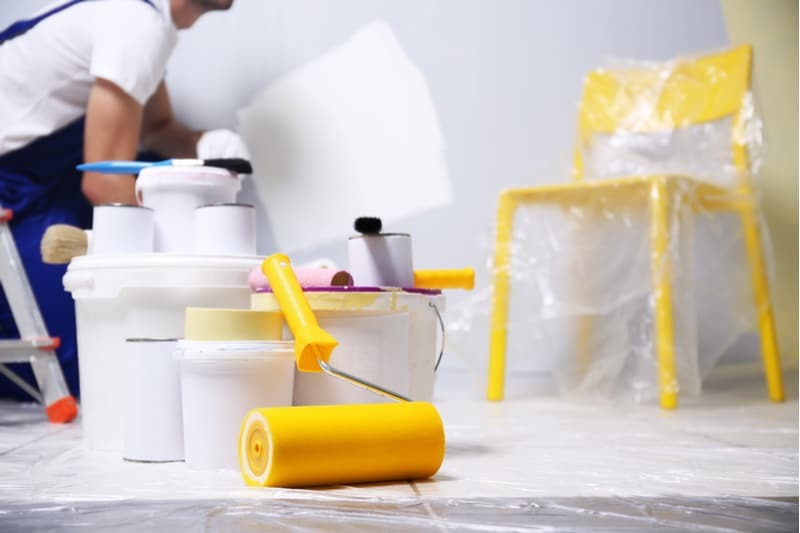 Though it may seem like a job that can be done without having to call in an expert, many homeowners quickly find that they are not equipped to deal with the process themselves. Professionals are not only trained to safely and effectively clean your space, but they also possess the equipment to handle hazardous material. 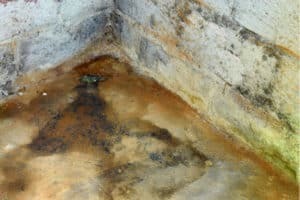 Left untreated, the moisture in your crawl space can be the perfect breeding ground for mold growth. And toxic black mold is just as scary as it sounds. Left too long, it can lead to major health issues for you and your family. Some signs you may be suffering the effects of black mold include chronic fatigue, persistent headaches, skin and eye irritation, chronic coughing, asthma or other serious respiratory conditions. Toxic black mold releases spores that feed on common organic household materials like drywall, carpet, insulation or sub-flooring. It can be costly to remove, especially if it has spread to other areas of your home. 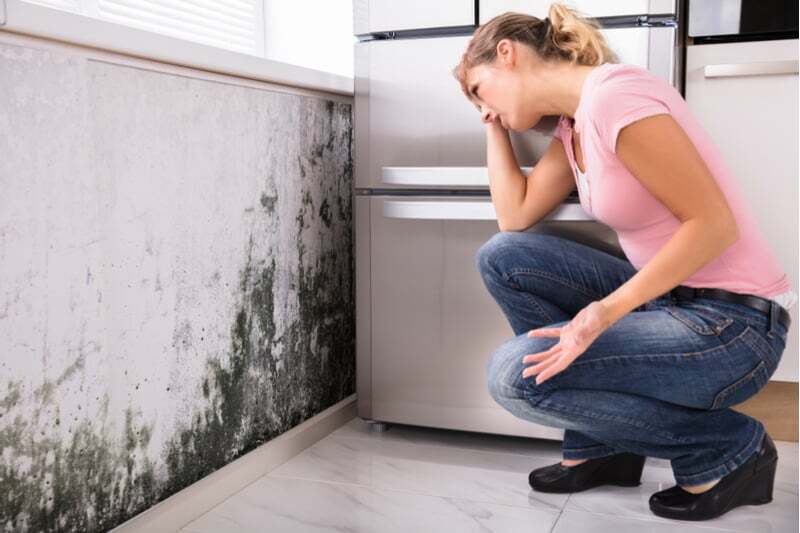 Mold typically enjoys temperatures between 40 and 100 degrees F that are dark and damp. This makes most places in your home ideal for mold growth. 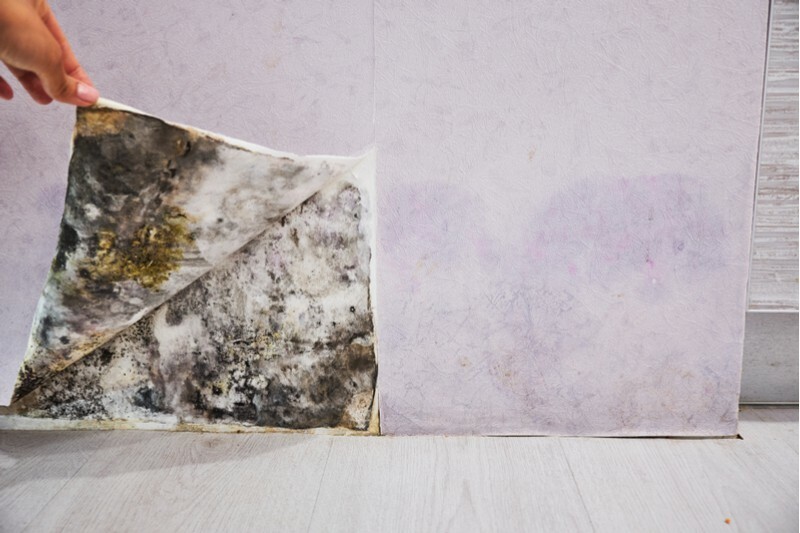 Areas like vents, bathrooms, and laundry rooms are ideal spots for mold to grow comfortably. In addition to the potential mold, you can also look forward to dealing with animal droppings and dead vermin such as mice and or rats. Despite our best efforts, both wild and domestic animals can usually find a way into a crawl space. And often, they leave a mess behind. The thought of crawling around in wet animal droppings is not only unpleasant, but it can also pose a serious threat to your health. 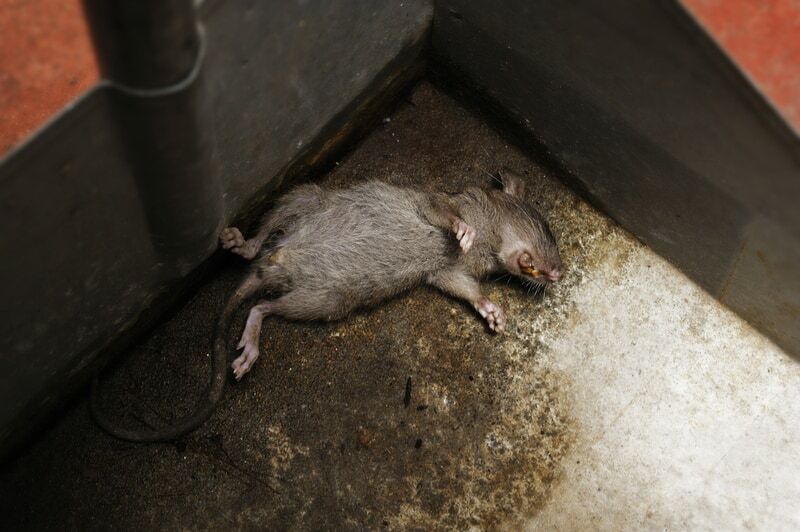 If you’re not trained to deal with the removal and disposal of dead vermin you could be exposing yourself to hantavirus pulmonary syndrome, a severe and sometimes fatal respiratory disease. The first step is to identify and stop the cause of the moisture. 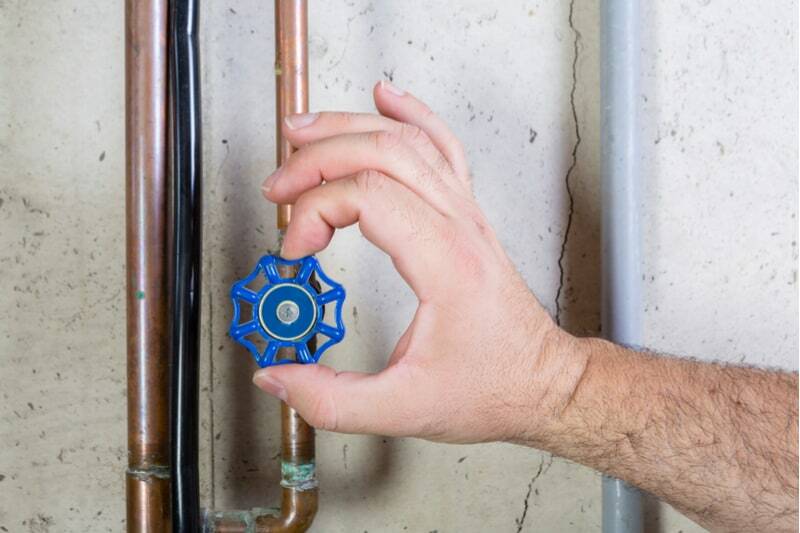 If the source is a burst pipe, make sure to shut off your water as soon as possible. 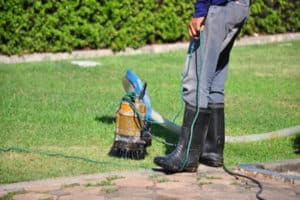 If your space has been flooded with rainwater, use a push broom to try and clear as much water as possible out of the crawl space and away from your home. Next, you’ll want to remove any standing water. A submersible pump and a wet/dry vacuum are the best tools for the job. But if you don’t have either of those do what you can to clear out the water while you wait for your restoration company to arrive. 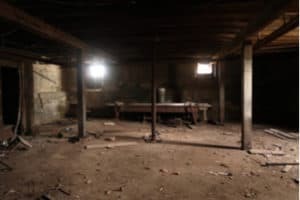 Crawl spaces can have an excessive amount of debris such as nails, splinters and possibly rodents. Crawling through these spaces means your body is exposed to all of these hazards on the ground. And in a tight area with little room for movement, you’re also susceptible to potential pathogens in the air. Before entering a space, take a moment to observe any smells coming from your crawl space. 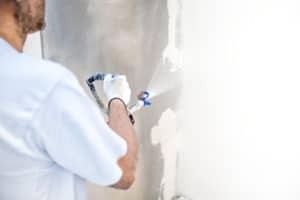 If there is an increased risk of chemical contaminants you should not enter the space and instead wait for a professional to evaluate the area. If there is any debris or wet material, remove it from the area. Any boxes or items stored in the crawl space should be taken outside for a closer inspection and possible cleaning. Do not bring boxes that have been exposed to moisture into a living space or basement, as they could be contaminated and spread mold further into your home. Check for loose, wet and moldy insulation and remove it from the space. Be careful when removing debris and always wear protective gear. Try not to rush through debris removal and be conscious of your actions. Speeding through a clean up can often result in injury. Scrub mold off of any and all surfaces but be aware that only using bleach may not be enough. 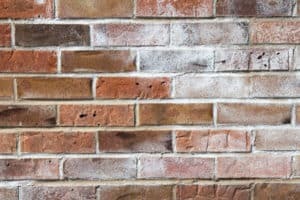 To find out the best way to clean mold from your home check out this guide. If you have a heavy infestation of mold or are allergic, this is a job that should be left to professionals. 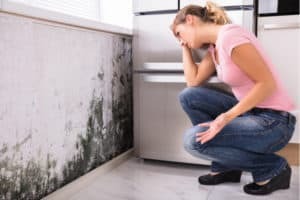 If you’re not sure what type of mold you are dealing with, always call an expert to analyze it first, as some types of mold can be highly toxic. 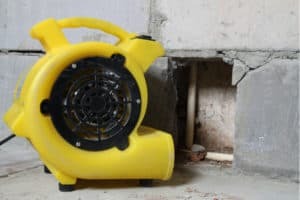 To remove moisture from the space you’ll need a dehumidifier or a professional grade drying system in order to ensure that the area is completely dry. For a more long term solution that will keep moisture out you may need to install a vapor barrier over the floor and wall of your crawl space. Be sure not to cover the barrier with gravel or dirt as it will keep you from seeing if new puddles have formed. 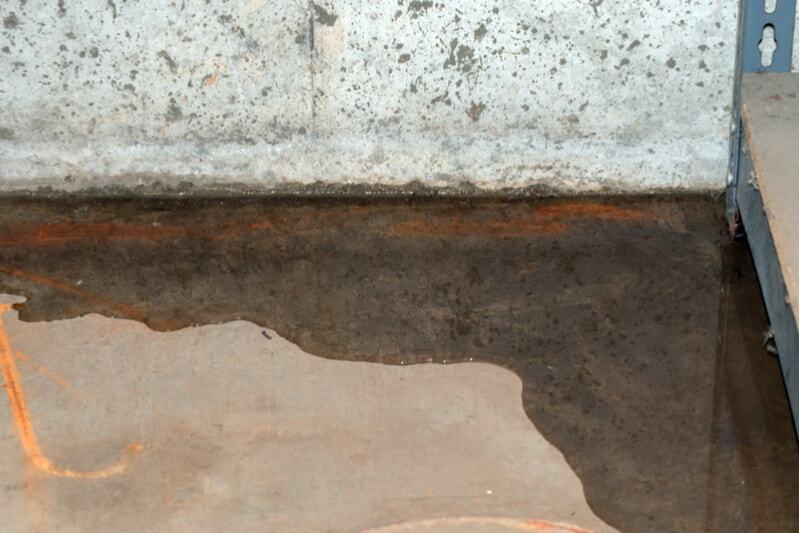 Moisture in your crawl space is more than just an inconvenient nuisance. Without a properly vented crawl space, moisture can lead to more than mildew. 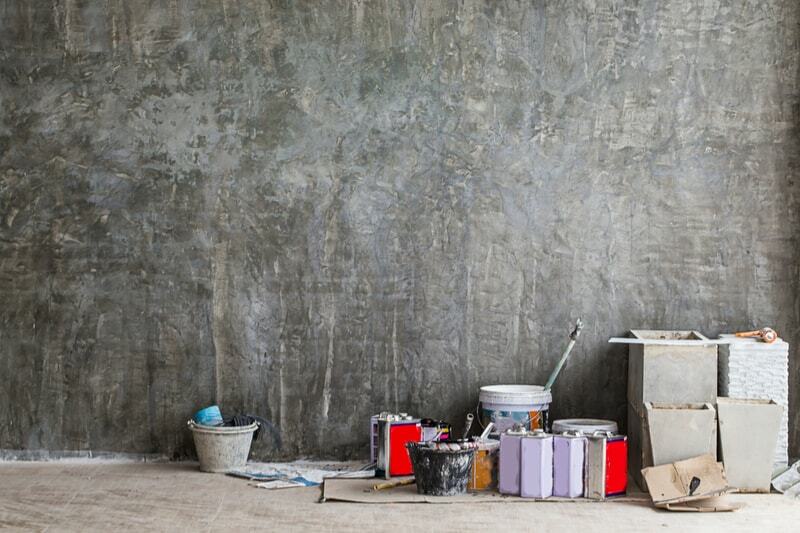 Peeling paint or rotting beams can also occur due to a continuously damp space. Though people are reluctant to leave their vents open year round, condensation problems can occur in any season. Which is why controlling moisture in your home can alleviate or even eliminate other potential problems for your home in the future. 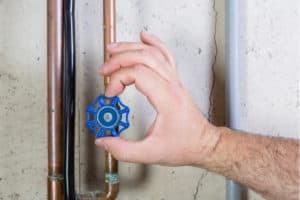 Getting control of the moisture in your home is not only necessary for your peace of mind, but it could also save you money. 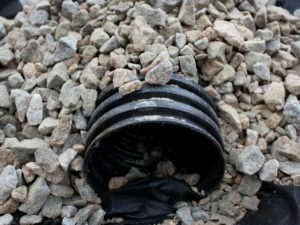 Houses with dirt crawl spaces usually have damp air. This air is much more difficult to heat and cool which ultimately ends up costing you more money. 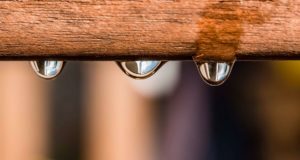 Keeping moisture levels low not only prevents mold growth and keeps you more comfortable, but it could also help your home become more energy efficient. By addressing damp air in your crawl space, your home will become less costly to heat and cool, which saves you money. Coming up with a moisture control strategy will depend on your local climate, type of insulation and the construction style of your home. By speaking with a local professional, you can create a strategy tailored for your home and needs. 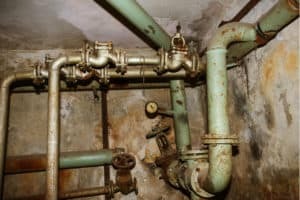 It’s never a good idea to decide to learn a new skill when suddenly faced with water damage or crawl space moisture issues. Entrusting a local expert not only gives you peace of mind, but it also ensures that your home is safe from mold, vermin and other unwanted house guests. Moisture finding its way in from a crawl space can make your home feel hot and humid. With a vapor barrier in place, you can run the A/C less and save on cooling costs. 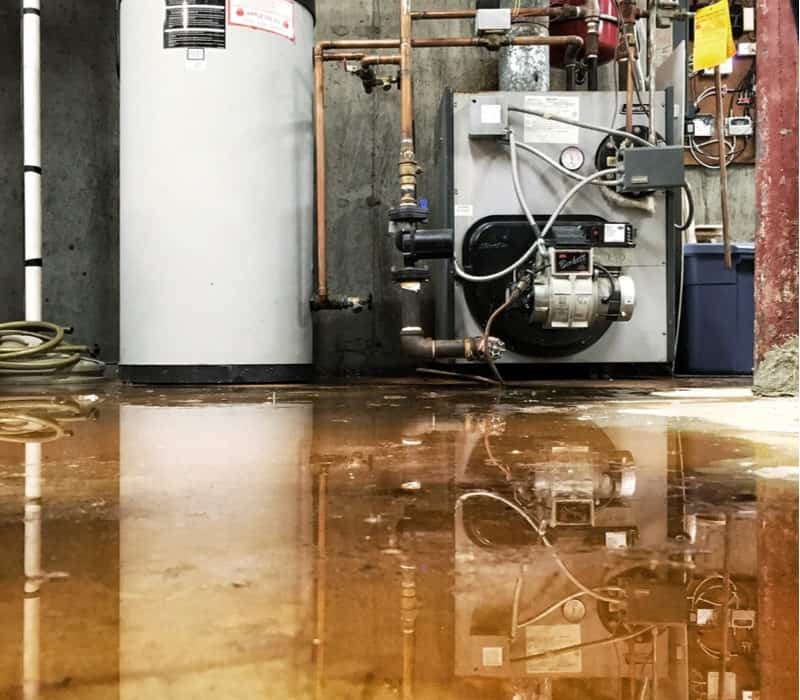 Most people think about flooded basements and burst pipes when they think of water damage, but consistent high humidity can be just as bad for the wood and masonry beneath your house. Mold spores are dangerous to human health. Inhaling them can cause everything from allergic reactions to long-term disease, and the worst of the worst carry deadly toxins. Mold loves dark and damp places, so the best way to prevent mold from growing in your crawlspace and spreading to the living areas is to keep it dry with a vapor barrier. Is your vapor barrier installed properly? 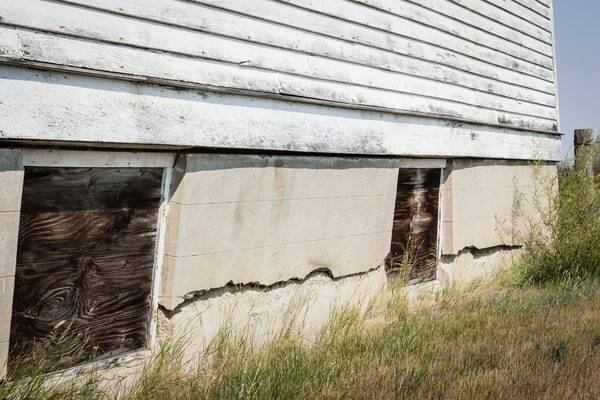 Vapor barriers are more than just a sheet of plastic tucked somewhere under the floorboards. 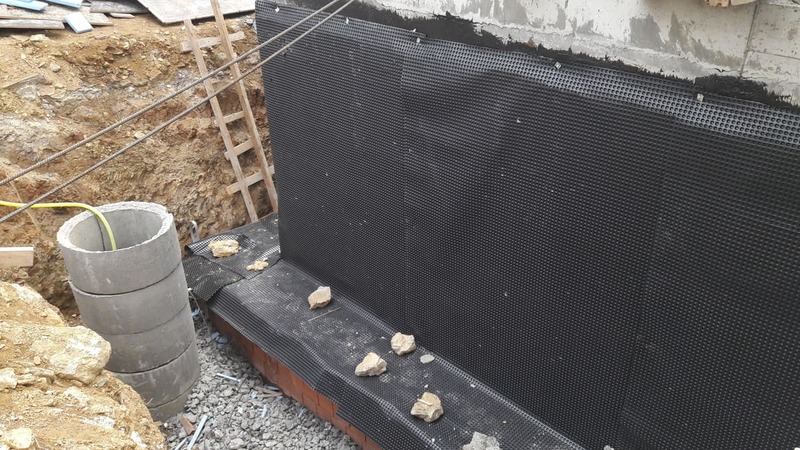 To actually keep a home dry and insulated, vapor barriers need to be properly installed. A poorly installed vapor barrier can do more damage to your home than none at all! 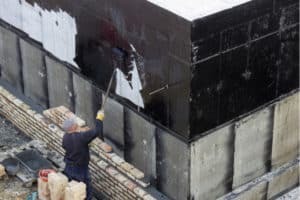 This guide will show you what to look for to see if your current vapor barrier can pass muster. 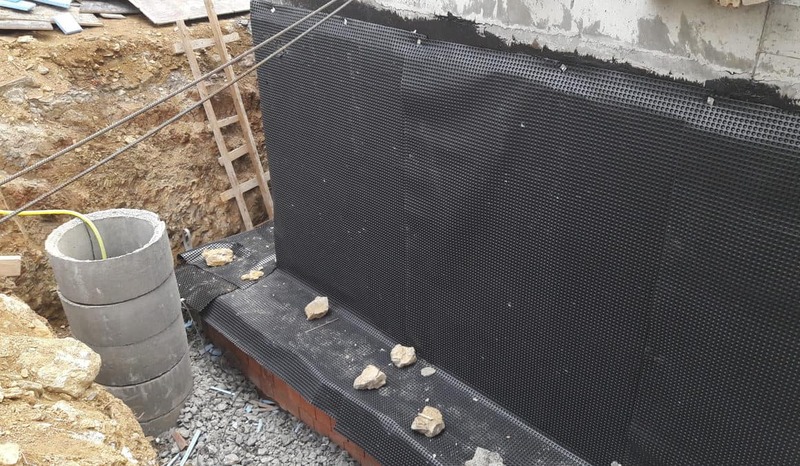 A lot of contractors have been putting down a layer of thick plastic vapor barrier, then layering gravel on top, This isn’t a vapor barrier–it’s a swimming pool! It seems like these contractors are thinking that they will stop groundwater from rising up into a basement. They’re wrong. All this kind of “vapor barrier” can do is trap rainwater. 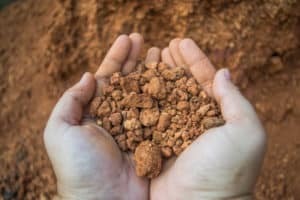 It won’t be able to absorb into the ground because there is a thick plastic sheet in the way, and the gravel will act like a perfect aquifer. 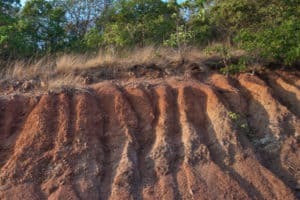 Water will have one place to go: up into your foundation. 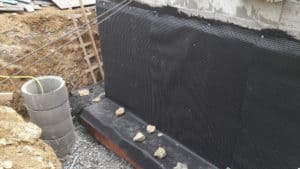 While often well-intentioned, installing a vapor barrier incorrectly like this is worse than not having a vapor barrier at all. When homeowners try to install a vapor barrier in a crawlspace, it is quite common for them to staple sheets of thick plastic to the ceiling of their crawlspace as a “vapor barrier”. This kind of vapor barrier doesn’t do a thing to stop moisture from getting into your home. It does guarantee wood rot beneath the plastic sheet. 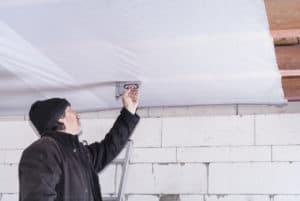 Just like with the gravel-over-plastic installation, a vapor barrier plastic stapled to the ceiling will actually trap moisture, not block it. This will be even worse if the barrier covers any pipes or ducts. Cool metal surfaces like air ducts collect condensation during the summer. Normally this evaporates without anyone noticing, and no harm was done. But with a plastic sheet covering the duct, the condensation will end up soaking into your floor joists. It’s a recipe for mold. 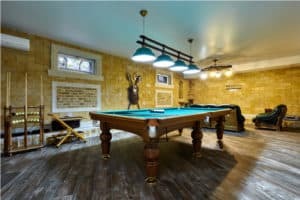 Many contractors will try to sell homeowners something that looks like a full encapsulation system by wrapping vapor barrier sheets around the walls of a crawl space and stapling them to the wood sill plate. There are a couple of huge problems with this kind of system. Staples punched through the plastic act like little steel wicks. Any moisture that gets between the foundation walls and the plastic will wick right into the wood house frame. This not only defeats the purpose of a vapor barrier but introduces serious risks of wood rot, mold, and structural damage. When contractors do these kinds of simple wraps, they almost never take the time to tape the seams where sheets overlap. 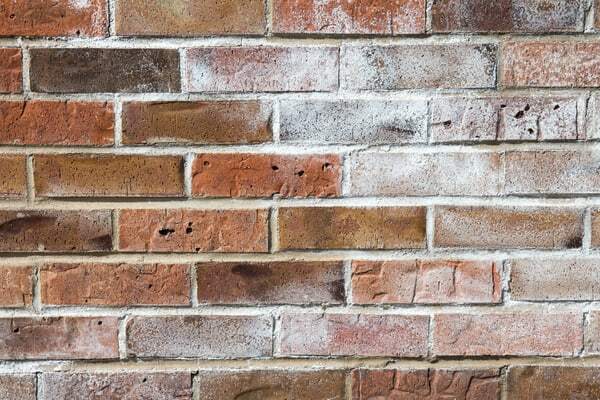 Moisture can easily wick through these gaps. At the end of the day, this kind of installation only looks like a vapor barrier. In practice, it won’t come close to giving your home the protection of a crawlspace vapor barrier. The correct way to install a vapor barrier in a crawlspace is surprisingly simple. Sheets of 6 mil vapor barrier should be used to cover the floor area, overlapped by 12 inches. No gravel coatings, no stapling things to the ceiling, and no gaps–just a clean, professional installation. 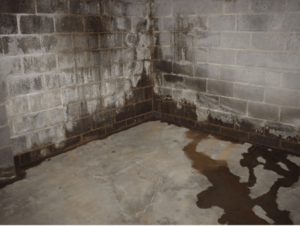 If your crawlspace or basement has problems with dampness or mold, call the experts at Dry Basement Solutions for a consultation. With over 25 years of experience in the remediation industry, the family owned and operated team is ready to tackle mold and basement water damage needs. Visit their website or call 201-258-4540 for a consultation.